Learn About Wool contains a wealth of resources, lesson plans and activities for teachers and students from early childhood through to senior secondary years. Use the search below to explore our lesson plans or resource library to find resources that meet your needs. 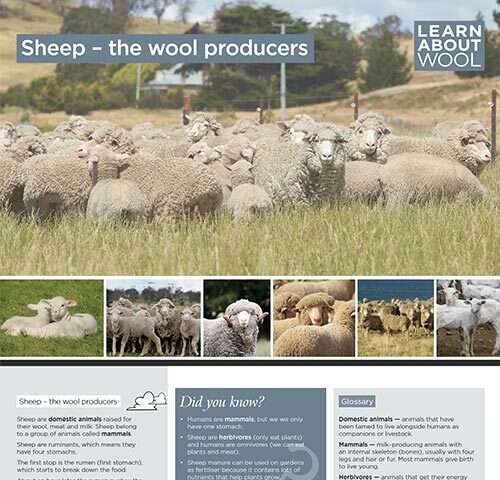 Elearning: Test your understanding and broaden your knowledge of the wool production pipeline with our interactive learning centre. 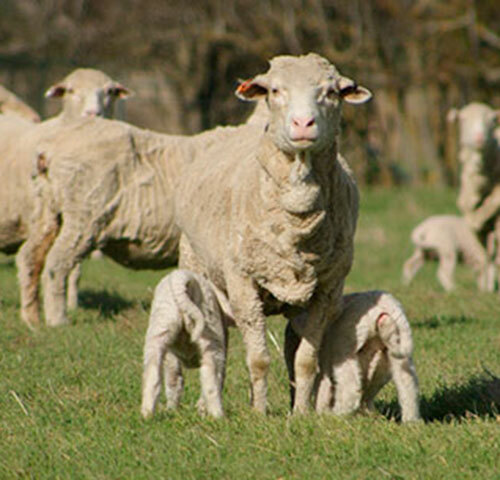 Factsheet: Sheep, nature's wool producers, are herbivorous ruminants - find out what this means. 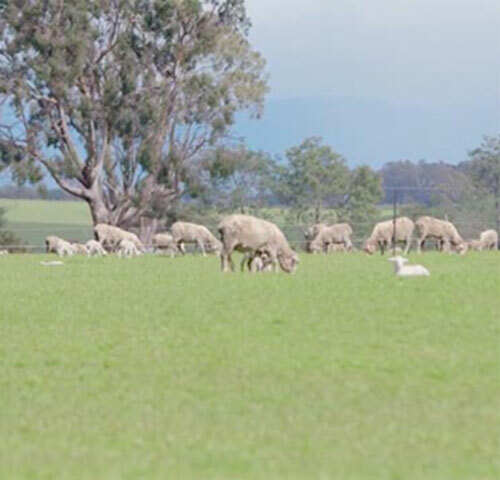 Video: Explore what sheep need to survive and thrive on Australian farms. We are always looking for ways to improve our resources and answer any queries you have about wool.